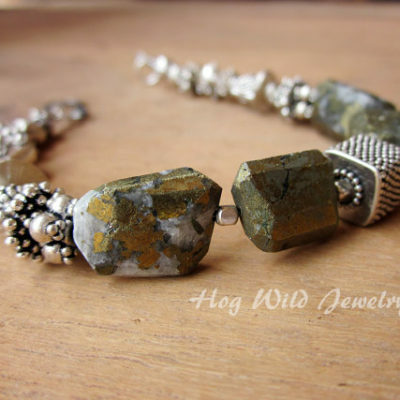 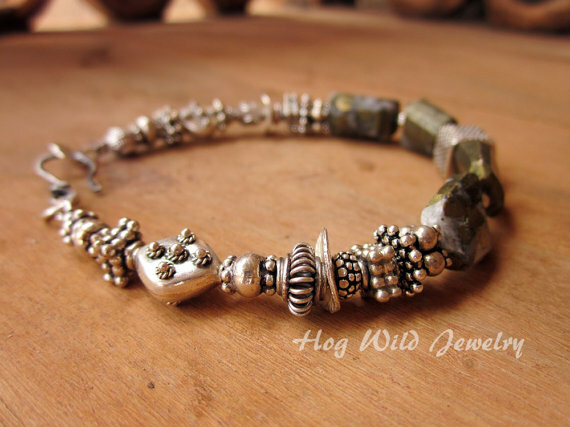 Bali Silver and Pyrite Nugget Sterling Silver Bracelet designed by Tamara. 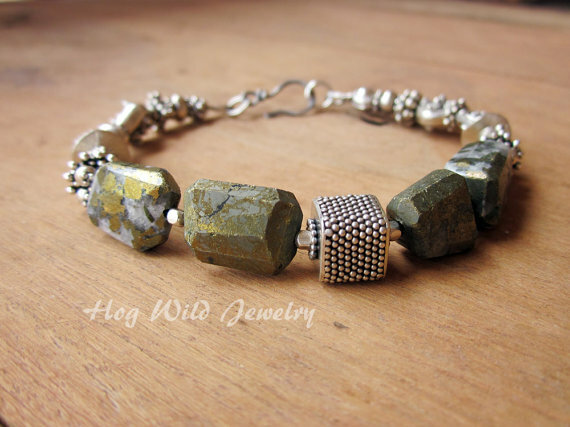 Luscious combination of Pyrite nuggets that have a gold tone and then Bali Silver. 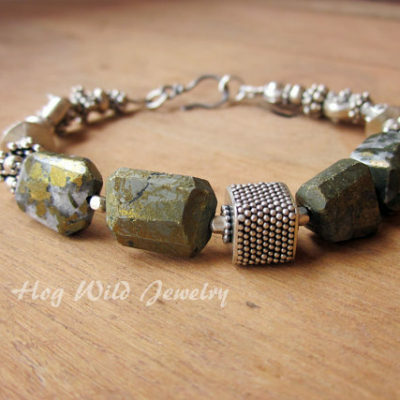 This is a versatile bracelet for that “mixed metal” look. 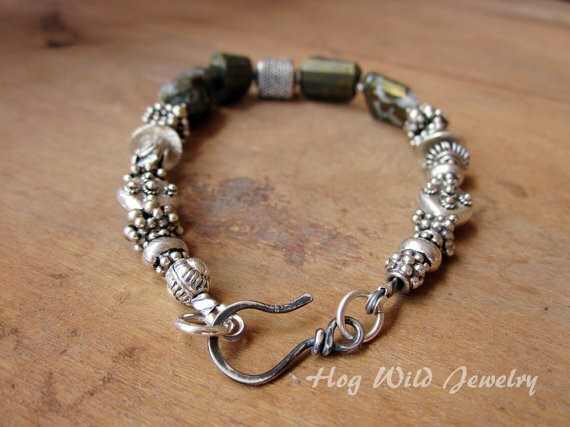 The Bali Silver beads have intricate designs on each bead with an antiqued look. 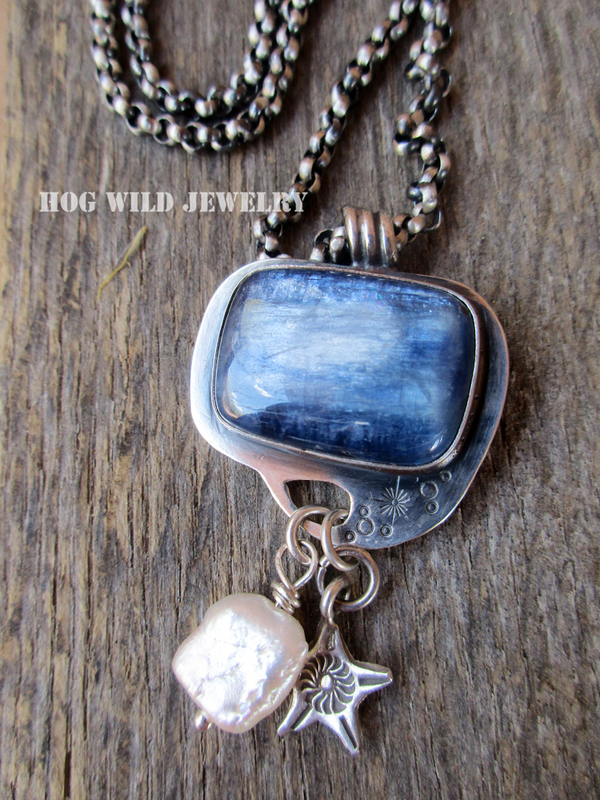 The sterling silver hook is handcrafted by me with a simple sterling silver jump ring closure. 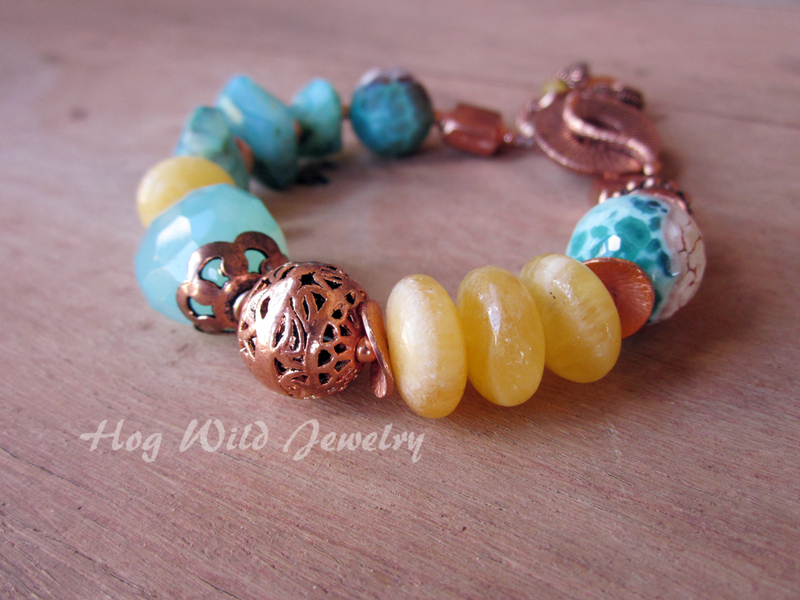 Perfect to stack with other bracelets for that Boho look. 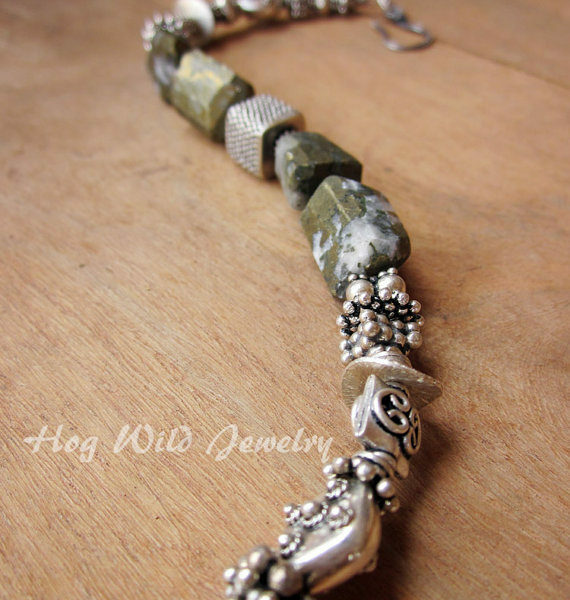 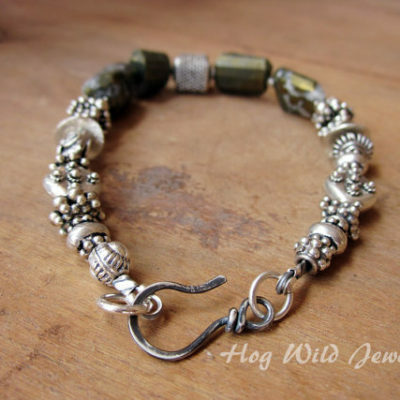 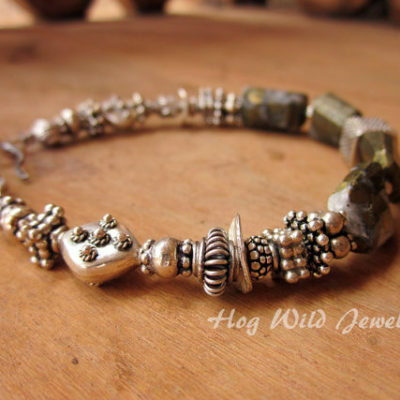 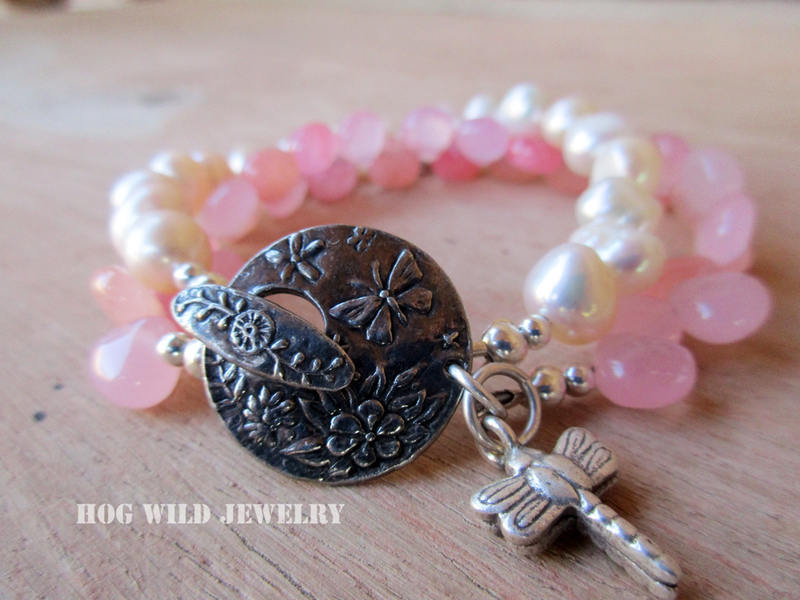 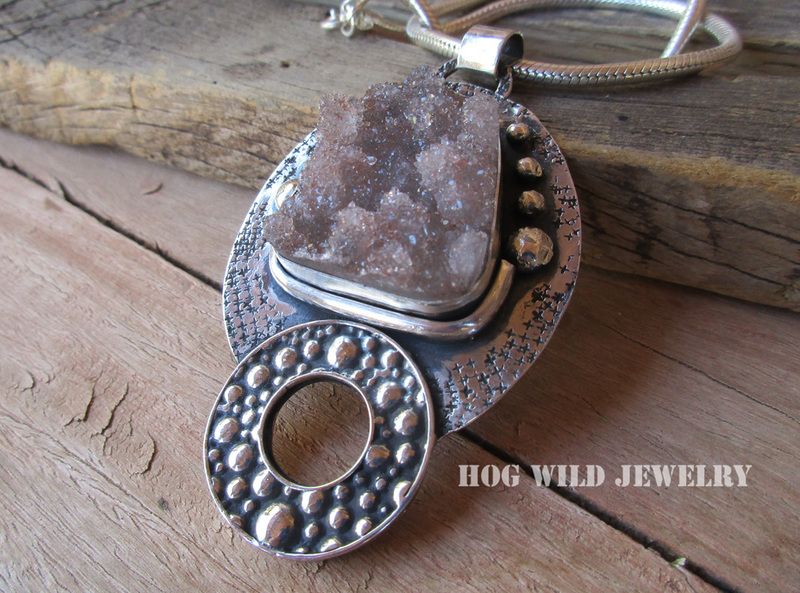 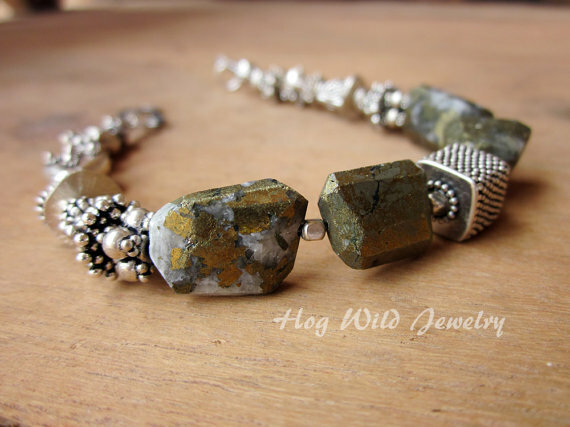 One of a kind Hog Wild Jewelry design so order now to guarantee availability. 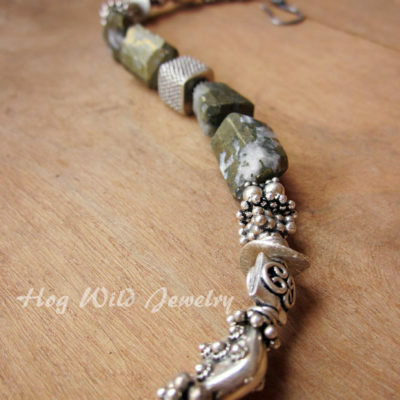 Measures 7 3/4″ but can be adjusted.